Figure 13.3 presents a horizontal view of the relationship between the PtoP process and its organizational environment. They show various information flows generated or captured by the process. After reviewing Figure 13.3, read Technology Insight 12.1, which discusses how horizontal information flows in an enterprise system become automated and therefore more efficient in terms of supporting the PtoP process. * Many of these steps may be automated. 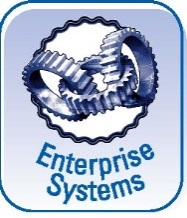 See Technology Insight 12.1 for a description of these steps in an enterprise systems implementation.